Appliances Online is a family owned and run online retailer in Australia. Priding themselves on offering their customers the best possible online shopping experience, they realized that over 40 percent of their email was going straight to spam folders, and the remaining emails that were delivered were not engaging their customers. Acknowledging the email channel was not in keeping with the high customer experience reflected in the rest of the business, Appliances Online turned to Return Path for help with their overall deliverability and customer engagement in emails. To address the deliverability issues, Appliances Online joined Return Path’s Certification program, seeing an immediate improvement with inbox placement jumping to 94 percent. As for customer engagement with their email campaigns, Appliances Online used many of the tools in the Return Path Platform to enhance content and create more personalized communications. To learn more about Appliances Online and how Return Path Platform and Certification helped them rectify deliverability issues and increase customer engagement with their emails, read our latest customer success story here. 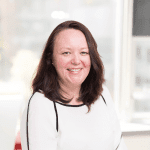 As Regional Marketing Manager for APAC, Fiona utilises her 20 years of marketing experience to focus on generating new business, strengthening relationships with our customers and building Return Path’s brand in the region. Outside of work Fiona enjoys reading a good book and is counting the days until the next Star Wars movie.